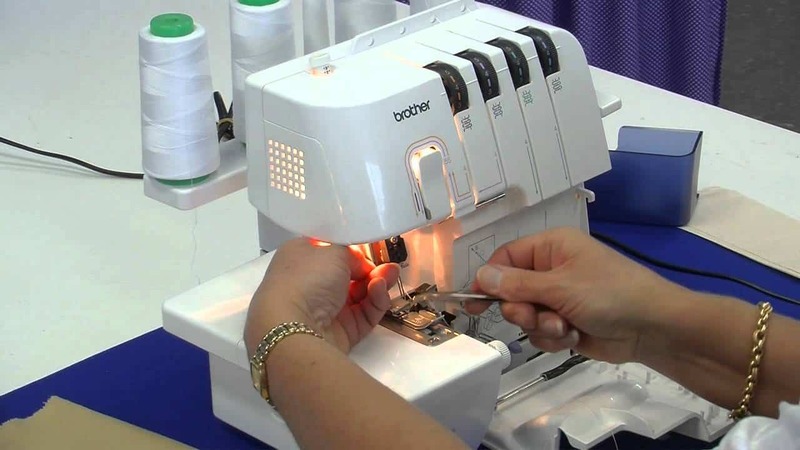 An overlocker (also referred to as a serger) is a special type of sewing machine that finishes raw edges and trims any excess seam allowance at the same time. These functions come in handy when sewing seams, finishing garments, or hemming fabric edges. Overlockers can also sew woven fabrics as well since these sewing machines allow the seam to stretch without causing any thread breakage. 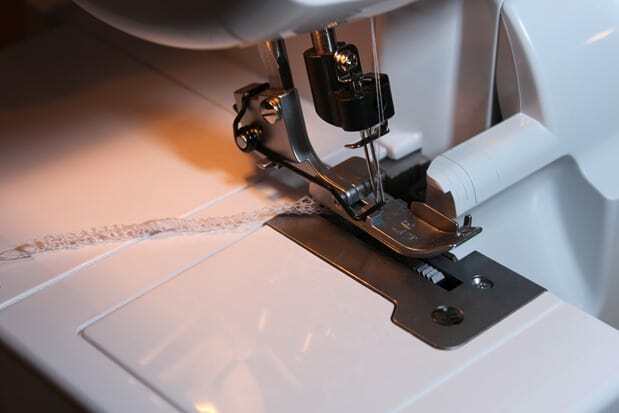 Threading an overlocker is slightly different from what most sewers are used to when sewing with a conventional sewing machine. An overlocker can use anywhere from 3 to 5 spools of thread all at once. Each thread has to be run through a series of loops, hooks and guides before passing through the eye of the loopers and needles. Finally, the thread tails pass between the presser foot and throat plate before ending up at the back of the overlocker. While all that might sound confusing, most overlocker sewing machines come with color-coded threading guides. These guides may have diagrams drawn on either the instruction manual or the machine itself. 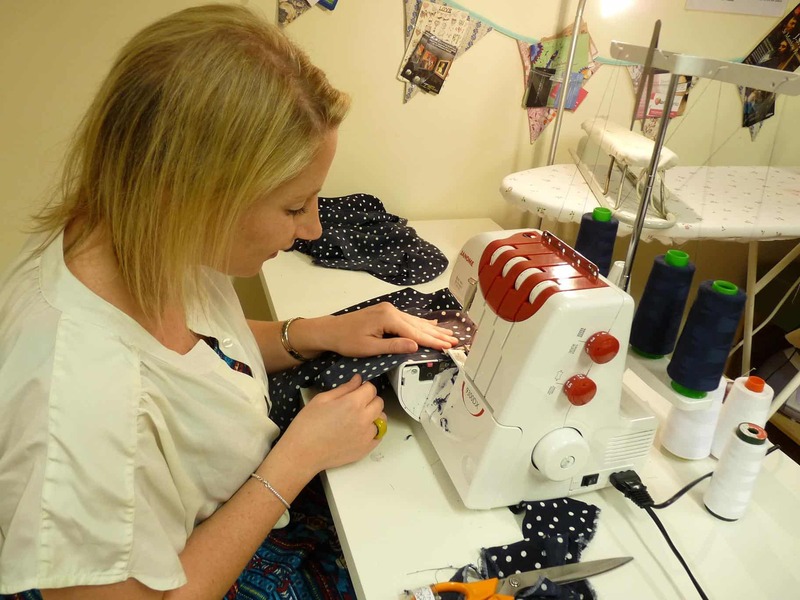 Initially, threading an overlocker may seem difficult but users will get accustomed to the process with time and practice. Thread one thread cone at a time, starting with the upper looper, lower looper, and finally the needles. Before threading, ensure that the telescopic thread guide is fully extended. Raise the presser foot and set tension to zero so that each spool of thread can pass through its course easily. If you need any clarifications, check the threading guide inside the overlocker’s looper cover or on the instruction manual. Always make sure that the threads are firmly embedded in to the corresponding tension discs. When done threading, lower the presser foot, turn on the machine and press the foot pedal to test stitching. Keep in mind that specifications for different overlocker models may have slight variations. Therefore, double-check your manual to verify every step listed above. In case thread comes out of the needle or looper eye, remove every spool and start to thread again from scratch. 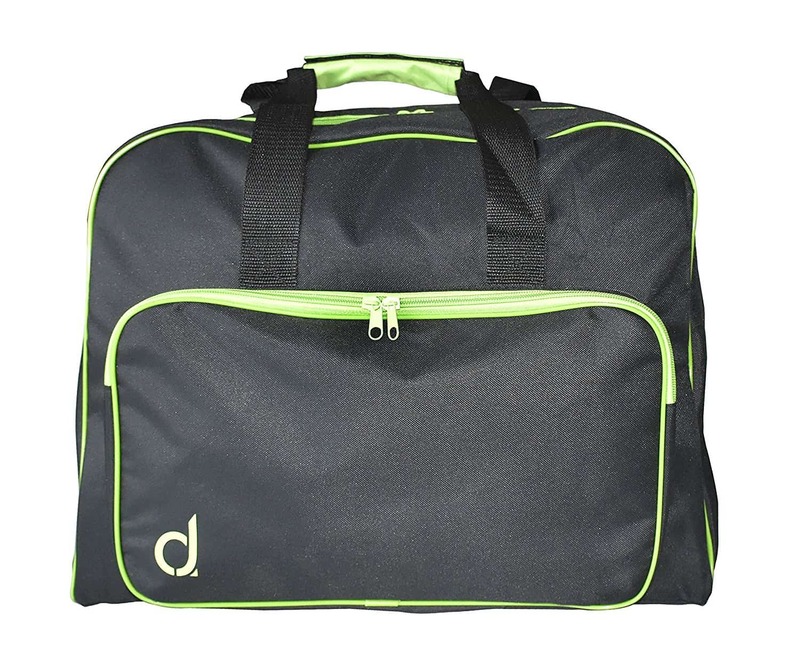 Most overlockers provide the option to adjust foot pressure, stitch length, and the stitch cutting width. Thanks to the foot pressure regulator, you can work on both heavy and lightweight fabrics. 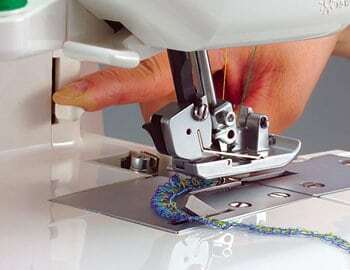 The adjustable length setting simply increases or shortens the distance between stitches, while the stitch cutting width adjuster moves the trimming knife closer or further away from the throat plate. Take note that fabric will curl under the overlock stitch if the cutting width is too wide. But when the cutting width is too small, stitches tend to hang over the edges of your fabric. Fortunately, these functions can be adjusted with either dials or sliders depending on the model and brand you are using. For some overlockers, you have the ability to raise the knife to disengage it if you don’t want to cut any fabric. This function comes in handy when using an overlocker for decorative sewing. To serge a seam, make sure that the power cord is plugged in first. Next, line up the fabric edge you want to overcast with the seam guide on the needle plate. This allows the needles to stitch along the seam line as the knife trims the edges for a neater finish. As with most sewing machines, the feed dogs will pull fabric through the needle plate once the foot pedal is engaged. Most overlockers come with dials at the front for adjusting thread tension. These dials are usually numbered to indicate the level of thread tension. So, all you have to do is turn the tension dial to a specific number. The easiest way to test thread tension is by evaluating stitch quality. Therefore, you’ll need to perform a simple stitch test using different coloured thread cones for each needle and loop. This will make it easy to see which thread spool needs some adjustments. If the tension is not right, you’ll notice loose threads, some puckering, or the upper and lower looper threads will not connect exactly at the edges. After evaluating the sample overlock stitch, simply adjust the corresponding tension dial. Run another swatch of fabric through the overlocker/serger and then evaluate the stitch and adjust the tension dial as needed until the seam comes out right. Thread tension on an overlocker can be finicky and it may require adjustments when working with different fabrics, changing threads, or altering the stitch configuration. Any mistakes can be fatal for the item you’re working on because an overlocker trims the edges of your fabric as you sew. Therefore, it’s wise to always do a test before you start your project. You may also want to consider keeping a swatch book for fabric samples with notes on tension settings for various fabric and thread combinations. If your unit comes with differential feed, it means that the machine has two sets of feed dogs. The rear feed dogs maintain a consistent speed while the front set can be adjusted to go faster or slower. This means that you can control the speed with which the feed dogs pull fabric through the machine when working with a differential feed overlocker. As a result, the fabric can be stretched or eased. 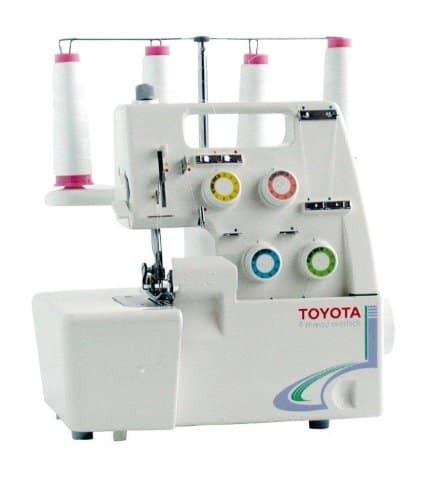 By adjusting the differential feed, an overlocker can accommodate fabrics with different levels of stretchiness. The best part is that adjusting feed ratio can be done at the turn of a dial. An overlocker has to be maintained in order to keep it in excellent working condition. When your machine is not in use, cover it to prevent dust from accumulating inside the unit. You can slide a folded piece of clean cloth between the tension discs to remove any dust build up too. Alternatively, clean the internal components using a brush, serger vacuum, or square fleece of fabric. 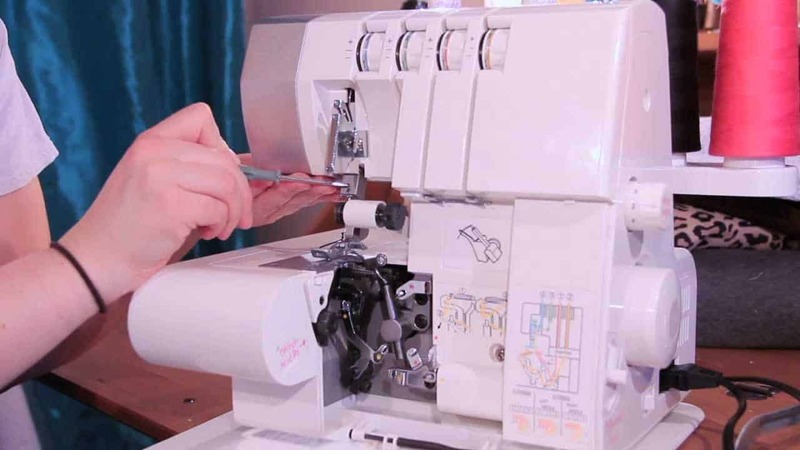 Using an overlocker is not that complicated, especially for users who have some experience with a conventional sewing machine. However, make sure to consult your instruction manual whenever in doubt.